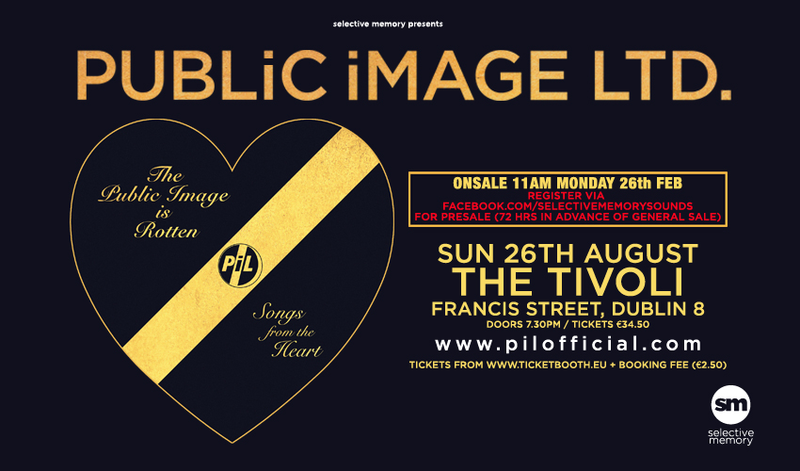 Due to demand, the PUBLiC iMAGE LTD (PIL) show on 26th August has been moved to Vicar Street. All existing tickets remain valid for new venue. To celebrate their 40th Anniversary, John Lydon’s Public Image Ltd (PiL) are pleased to announce The Public Image is Rotten: UK/Europe + Japan Tour, performing choice cuts from their back catalogue. © 2019 Ticketbooth Europe on behalf of Dome Productions t/a Selective Memory. All sales are final. Tickets are non-refundable.